I like the ’80s John Carpenter movie soundtrack-sounding backing and stuttering vocoder vocal spikes to “We’re the Unforgiven,” Numan’s voice of course lifts things up grandly, especially in the last third over the instrument-jamming swirl. “Who Are You” is a tight, danceable tune, while some very dramatic instrumental work informs “My Last Day,” featuring again expressive Numan vocals and a nice piano coda. 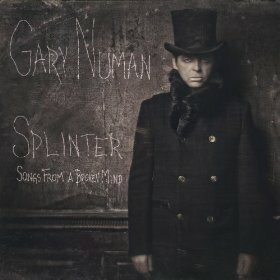 Splinters (Songs From A Broken Mind) is about what you’d expect from Gary Numan…and that’s a very good thing indeed.